India's Department of Posts (DoP) said it may set up a separate entity for handling e-commerce services by next year to cash in on the burgeoning demand for delivery and logistics. A report in Express Computer magazine quoted sources as saying that during a recent meeting chaired by Prime Minister Narendra Modi, DoP announced it would conduct a financial feasibility study for setting up a separate entity for e-commerce by October this year and start the operations by next year. The sources added that DoP may appoint an on-board consultant for development and feasibility of business and marketing strategy for the e-commerce market by July this year. 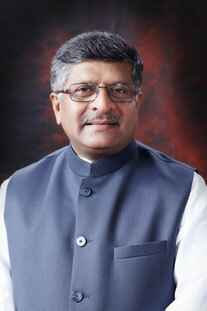 Communications and IT Minister Ravi Shankar Prasad had earlier said India Post with the world’s largest postal network is best suited to offer delivery services to e-commerce firms. India Post has over 15,500 post offices of which around 14,000 are in the rural areas. DoP said it would strengthen e-commerce in terms of resources and infrastructure by April and set up parcel processing hubs, dedicated transmission and mechanized delivery system by July this year. The Department already has established links with domestic e-commerce players such as Flipkart, Snapdeal, Amazon and Shopclues among others and for international e-commerce, the Department has entered into agreements with e-Bay and Japan Post.